211 Bernard: Tonight! Conundrum Cavalcade Plus One! Tonight! 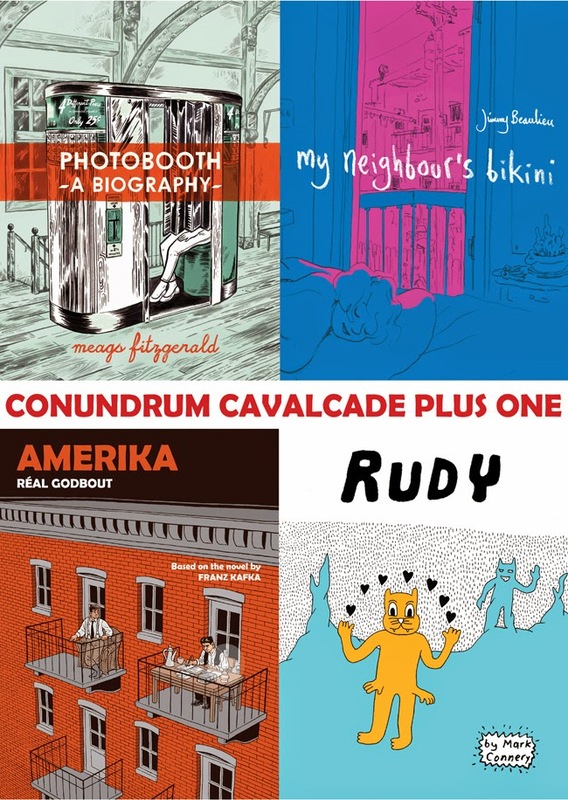 Conundrum Cavalcade Plus One! Get ready for the Conundrum Cavalcade Plus One to hit this town tonight at 7 p.m.! Come join three Conundrum Press authors as they launch their new graphic novels, plus... one special guest! The event will be hosted by up-and-coming comics artist Sam Alden! Local artist Meags Fitzgerald will be on hand to present her process making the formidable Photobooth: A Biography. 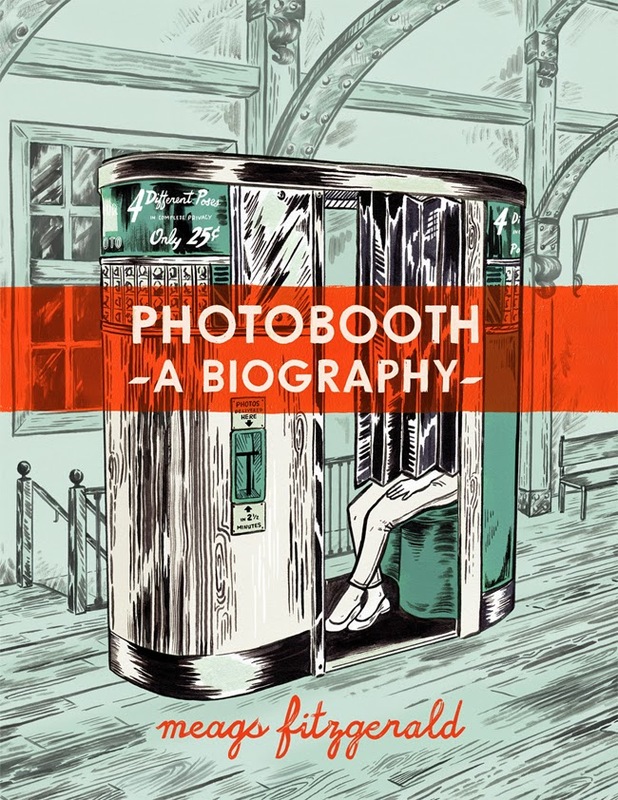 Meags Fitzgerald has chronicled the photobooth’s fortuitous history and the events which gave rise to the desperate need to save them. Having traveled in North America, Europe and Australia, she’s constructed a biography of the booth through the eyes of technicians, owners, collectors, artists and fanatics. In this ground-breaking book Fitzgerald struggles with her own relationship to these fleeting machines, while looking to the future. Celebrated Quebec comics artist Jimmy Beaulieu will launch My Neighbour's Bikini, his second translation for Conundrum's BDANG imprint. During a major power outage in the heat of a Montreal summer, two shy young neighbours finally take the time to slow down, meet, and spend time together. Beaulieau takes a microscope to the lives of a few citizens at a certain time and place and weaves their stories into a romantic tapestry. The perfect book to get you through the cold winter (or even a cold spring!). Originally published in 2006 this translation is the second by Beaulieu in our BDANG imprint. Canadian Hall of Fame artist Réal Godbout will present his first work in English, an adaptation of Kafka's Amerika. In his adaptation of Amerika, which took seven years to achieve, Godbout has tried to remain as faithful as possible to Kafka’s novel, while using the clear line aesthetic he perfected in his series Red Ketchup. Unlike the common cliché of Kafka’s work, Amerika is not a dark and sinister novel, but a dynamic and colourful story, with a touch of absurdist humor. Perfect for an adaptation into a graphic novel. It tells the story of the young immigrant Karl Rossmann who, after an embarrassing sexual misadventure, finds himself “packed off to America” by his parents. Expected to redeem himself in this magical land of opportunity, young Karl is swept up instead in a whirlwind of dizzying reversals, strange escapades, and picaresque adventures. 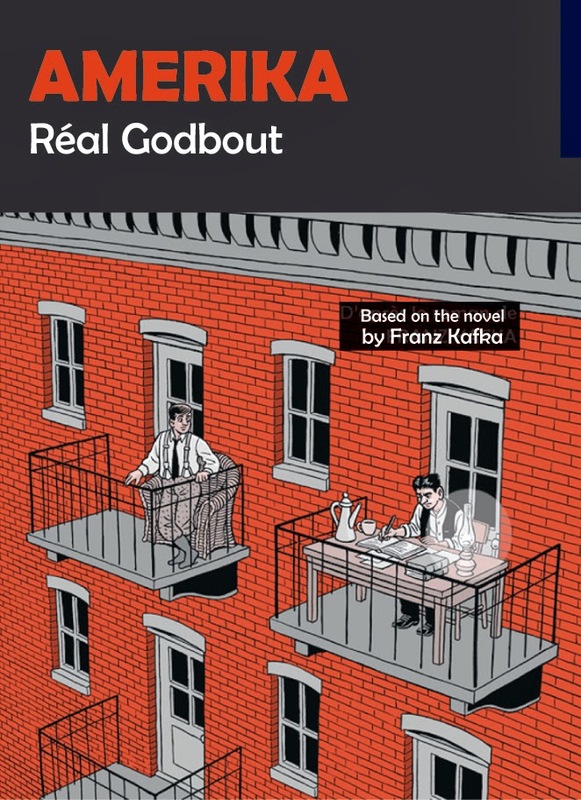 Despite the fact that Kafka never set foot in America, his novel was uncannily prescient about certain aspects of the country that advertised itself, particularly during the late 19th and early 20th centuries, as “the promised land.” Godbout provides a unique perspective, as a quebecois artist and outsider to America. There will be an onstage Q&A between Jimmy and Réal. 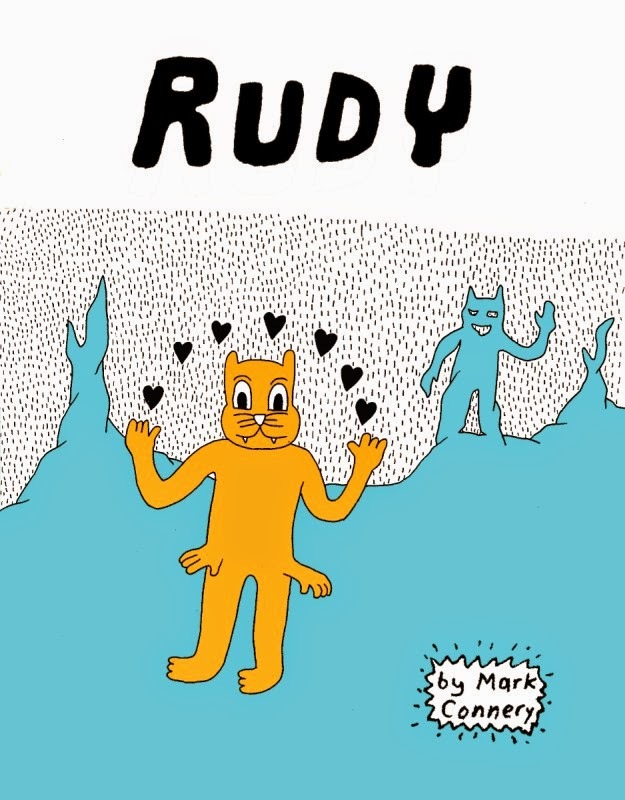 Finally, guest Mark Connery (in from Toronto) will launch his book of comics Rudy (2D Cloud). "Mark Connery's work is incredibly inspiring. His zines are portals to other dimensions where cats and ducks and fish-men engage in metaphysical shop-talk. At first it may seem that logic has been abolished, but the cartoon laws of punchline and gag still hold, creating hilarious friction. A comedic timing worthy of Bushmiller has been transplanted into an anarchist scratch-scape. Importantly, Connery connects comix with spiritual predecessors: artist books, punk rock utopianism, psychedelic nonsense, surrealist automatic writing, dreams and daydreams...which is exactly what I want to read. I LOVE RUDY!"